Cephalotaxus harringtonia var. wilsoniana (Hayata) Kitam. 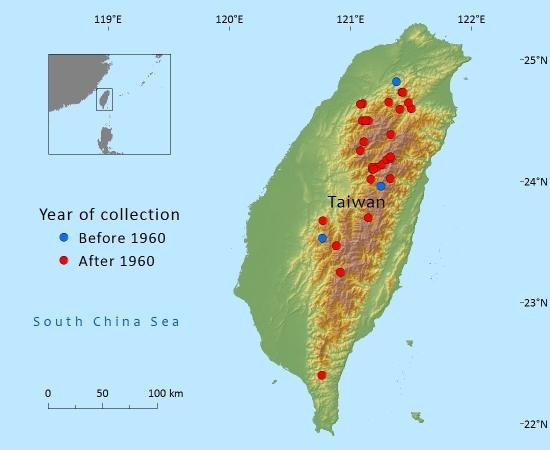 Endemic to Taiwan where logging and the the conversion of native forest to Cryptomeria japonica plantation has caused a decline in the population. 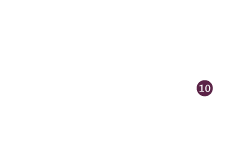 In the second edition of Flora of Taiwan 1 (1994), as well as in a horticultural compilation (Tripp 1995) this taxon was treated at species rank. In Flora of China Vol. 4 (1999) it is treated as a variety under C. sinensis. The morphology of these species is rather similar, but evidence from DNA appears to point to a closer affinity with the Japanese species C. harringtonii. This classification, first proposed by the Japanese botanist Siro Kitamura, is here accepted as the most likely true reflection of relationships. Endemic to Taiwan. Widely distributed in the following counties: Chiayi, Hsinchu, Hualien, Nantou, Yilan & Taipei. This taxon occurs in deciduous/evergreen forest at middle elevation (ca. 1500–2000m). These forests are dominated by Fagaceae, Lauraceae, Pinaceae (Pinus, Pseudotsuga, Tsuga), and a variety of other trees; C. harringtonii var. wilsoniana forms a small understorey tree tolerant of shade. In more open situations, e.g. after forest disturbance, it can hold its own and resprout from the base or roots to form a dense bush. Rare in cultivation and probably restricted to a few botanic gardens. This variety has a small extent of occurrence (4375km²) and area of occupancy (294km²), which are within the thresholds for listing as Endangered. The population is severely fragmented and there is continuing decline due to the loss of habitat as a result of clearance to make way for Cryptomeria plantations. It is therefore listed as Endangered under criteria B1and B2. The native forests, in which Cephalotaxus harringtonii var. wilsoniana is a rare tree, have been under pressure of conversion after logging to plantations with mainly Cryptomeria japonica. The species is known from several localities concentrated, but not restricted, to the northern part of Taiwan, where such conversions have been widespread. It occurs in several reserves including Taroko National Park. Chia Ju Yang, Ching-Te Chien, Yue Ken Liao, Shun-Ying Chen, Jerry M. Baskin, Carol C. Baskin and Ling-Long Kuo-Huang (2011). Deep simple morphophysiological dormancy in seeds of the basal taxad Cephalotaxus. Seed Science Research 21:215-226. Hao, D.C., Xiao P.G., Huang B.-L., Ge G.B. & Yang L. (2008). Interspecific relationships and origins of Taxaceae and Cephalotaxaceae revealed by partitioned Bayesian analyses of chloroplast and nuclear DNA sequences. Plant Systematics and Evolution 276:89-104. Yang, Y. & Luscombe, D 2013. Cephalotaxus harringtonii var. wilsoniana. The IUCN Red List of Threatened Species. Version 2015.2. 2015. Cephalotaxus harringtonia var. wilsoniana, from the website, Threatened Conifers of The World (http://threatenedconifers.rbge.org.uk/taxa/details/983).